Dallas-Fort Worth is having such a busy, active, hopping, jumping, lively, sprightly, go-lightly restaurant scene right now that we're deluged with news — from chef changes to new chains coming into the market. Let's make it easy and round it all up in one story. Movin' on up: Danyele McPherson has been bumped up to chef de cuisine at The Grape, where she'll oversee day-to-day operations. 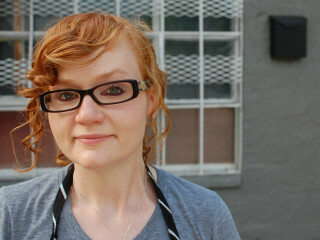 The soon-to-be reality TV star joined the Grape as sous chef in May 2011; Ian Starr takes over her sous chef position. Movin' on out: Chefs Jeana Johnson and Colleen O'Hare are outski at Acme F&B, having done the proverbial parting of ways with co-owners (and Barcadia empresses) Brooke Humphries and Brianna Larson. Will they install Jenga? Acme's new chef is Norman Grimm. 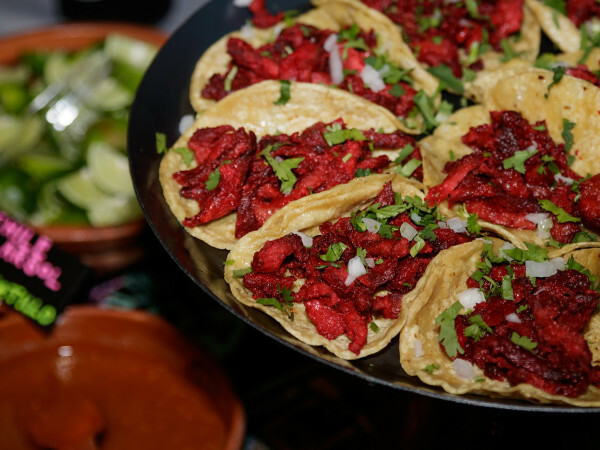 No relation to Frida: Kahlo Restaurante, a Tex-Mex place, opened in Addison Circle from the owners of the Lion and Crown pub, also in Addison Circle (in the old Avanti space). Kahlo took over the old Masaryk space, which had authentic Mexican. Will Tex-Mex be more popular than the real stuff? And the wind called: Qariah Restaurant is a Lebanese restaurant that just opened on Lower Greenville, on the ground floor of the Vue apartment building; Lauren Drewes Daniels posted a snapshot here. Qariah also has a hookah lounge, for you dozen or so hookah fans. Uh-oh, has Jim White been informed? Savour Kitchen & Cocktails is taking over the old Rick Stein's/Tre Amici/Office space off the Dallas North Tollway; that location has the worst karma in the world. Thrillist calls it an "amalgamation of the owners' Savour Social Club and Bonnie Ruth's restos." (Side note: Can we ban the words "amalgamation" and "amalgam"?) The menu is a sprawling thing, from $6 hummus to $38 filet mignon. So far we have Ser Food + Spirits and Ocho Kitchen & Cocktails. Now there's Savour Kitchen & Cocktails. Anyone see a trend? The B-52s are sad: Tim Love's Love Shack burger stand concept is in crisis! The Love Shack in Denton closed Monday; Love plans to replace it with a steakhouse. But weep not: DFW.com reports a new branch opening on Blue Bonnet Circle in Fort Worth as a quasi-replacement for the Shack that shuttered in Fort Worth's West 7th district. When in doubt: Smashburger will open an outlet in Mockingbird Station in November in a previously vacant space that sits between the old Vapiano space (soon to be Mockingbird Taproom) and Sunglass Hut. This will be Dallas' fifth Smashburger. No relation to the play: Wicked Po'Boys will open a second branch in January 2013 in Preston Center, next to the new Grip Mediterranean Grill and the also new Hopdoddy Burger Bar. Wicked Po'Boys opened its first branch in Richardson in June. The menu has po'boys, gumbo, étouffée, crawfish and fried shrimp. Paging Dr. Weil: True Food Kitchen will open at the Plaza at Preston Center in 2013. True Food Kitchen comes from Fox Restaurant Concepts, with a menu centered on Dr. Andrew Weil’s anti-inflammatory diet and food pyramid. It will be the seventh True Food Kitchen in the United States. Fox is a mega-company that owns a slew of concepts, including Zinburger Wine & Burger Bar, Greene House, Arrogant Butcher, Blanco Tacos & Tequila, Olive & Ivy, Wildflower American Cuisine, Modern Steak, Culinary Dropout, Sauce Pizza & Wine, and NoRTH Modern Italian Cuisine. Fu to you too: Asian chain Mama Fu's plans to expand to Dallas. The Pei-Wei clone has fast-casual service at lunch but full service at dinner. There are currently 13 Mama Fu's, about half in Austin. The folks bringing it to Dallas include the owners of Egg and I plus Daniel Avery and Tao "Echo" Liu, who own several businesses in Shanghai, and they are moving to Dallas. Really? To run a couple of Mama Fus? Define "clever," please: Bowl & Barrel, a bowling alley opening at the Park Lane complex in November, hired chef Sharon Hage to do its menu. It's billed as "clever tavern food," and it includes giant pretzels, cheese and ham boards, oysters, hot dogs, and an "artisanal" bologna sandwich made on Empire sourdough bread with caramelized onions and Gruyère cheese. That's correct, an artisanal boloney sandwich. 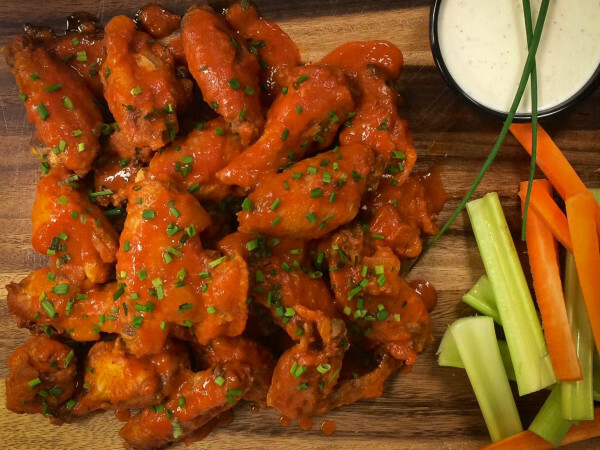 Of all the joints: The Gin Mill on Henderson Avenue has added "upscale, pub-inspired" menu items that include pork shank osso bucco, salt-and-pepper salmon, rib-eye, cioppino and a steak sandwich. Not going away are the flatbreads, Jimmy’s meatball sandwich, banh mi with house-made paté, and fish and chips. True to its name, the Gin Mill offers over a dozen gins. Duck for breakfast? Boulevardier now serves Sunday brunch, from 11 am to 3 pm, with dinner-menu items such as the French onion soup and croque madame sandwich, plus eggy things like quiche, eggs meurette (poached eggs, toasted baguette, mushrooms, bacon, bone marrow and red wine sauce), and legs and eggs (duck leg confit, duck eggs, grits cake and huckleberry sauce). Internet food: Central 214 launched its fall menu with some ingredients that required Googling: Dorper lamb shoulder with pappardelle and eggplant caponata, Florida hog snapper with artichokes, grapes and ajo blanco; veal breast with "Hokerei turnips," d'avignon radish and celery leaf pistou; duck with quince and lentils; trompetti with olives, mushrooms and piperade; and Countryside Farm's rabbit with castelfranco and mascarpone polenta. I sure hope there isn't a test. Mixology spoken here: Cedars Social has new food and cocktail menus from chef Toby De La Rosa and barman Michael Martensen. Those include Akaushi beef tartare; day boat scallops with grapefruit and lemon caramel; Akaushi steak frites with shallots and bordelaise sauce; and a roasted vegetable salad with Benton's 22-month country ham, candied pine nuts and goat-cheese fondue. 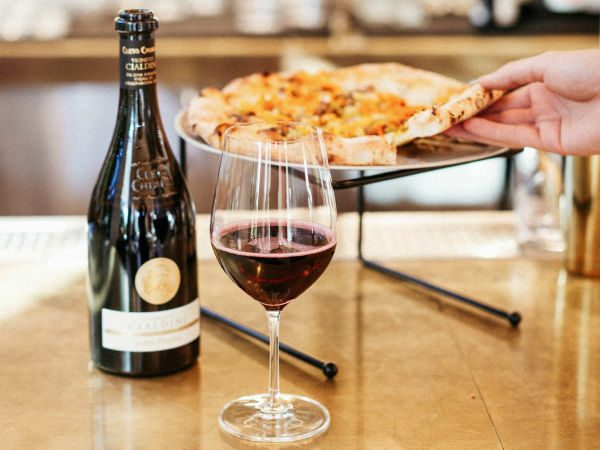 The two restaurants formerly known as Brix Pizzeria — located in Fort Worth and Roanoke — have changed their name to Inzo Italian Kitchen. It's the same basic menu, but there are other Brixes out there, and they didn't want to compete, said a manager at the Roanoke branch. Inzo is short for Inzolia, also spelled Insolia, and it's a grape used to make Marsala wine. Stratos Greek Taverna will host live performances by Kenny as the King, an Elvis impersonator, on Mondays and Wednesdays from 6-9:30 pm. They're busy with the entertainment over there; they already have a belly dance floor show five nights a week, which includes dance lessons.